Tasty, nutritious, filling. Good textrure. 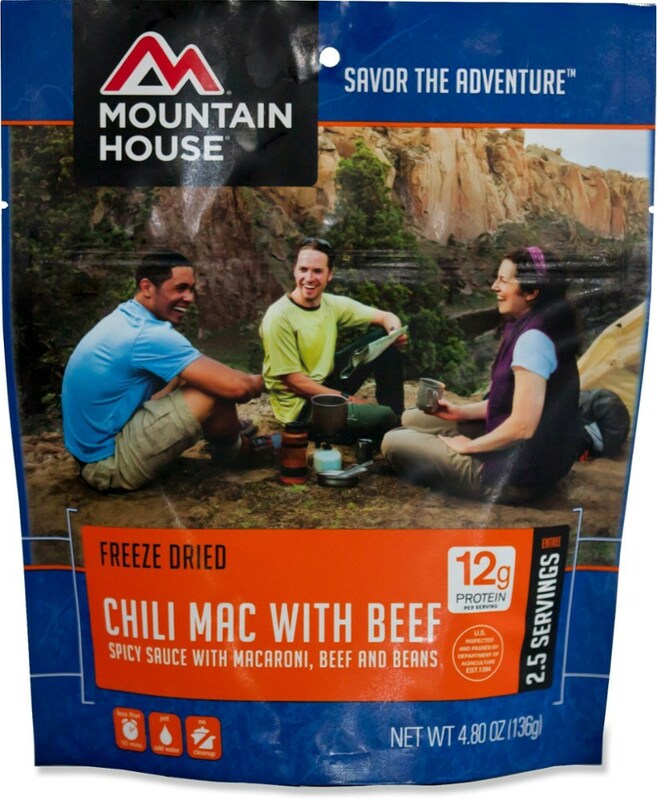 One of the dehydrated meals I bought to feed a couple of clients on a week-long trip to the Canadian Rockies. 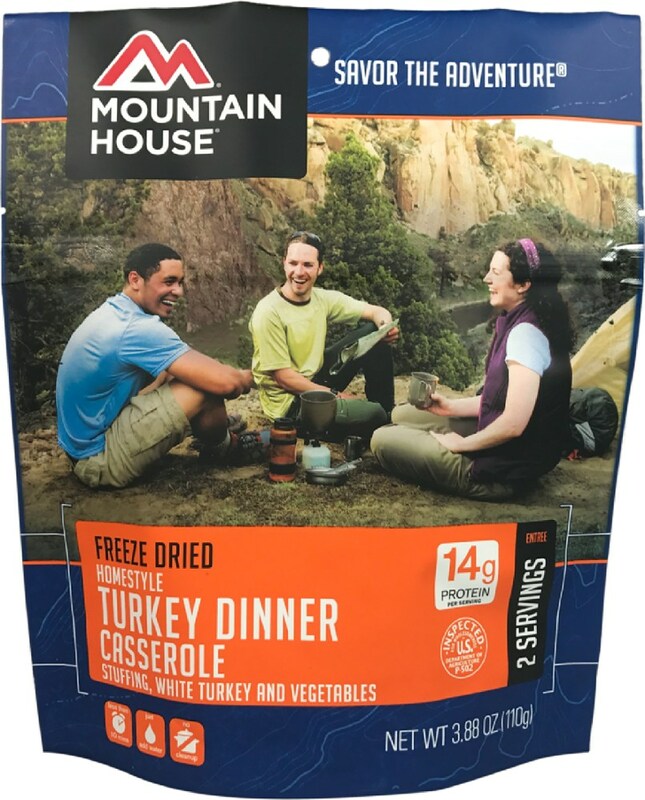 Very tasty, and since I cooked it at the beginning of the week, it really helped to make the point that a lot of dehydrated food is just about as good as regular meals. 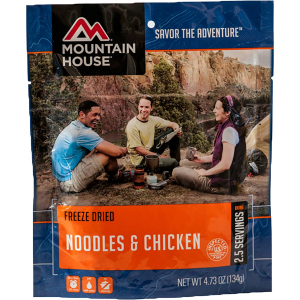 Easy to prepare, as is every Mountain House meal — just add boiling water and seal the bag, wait 8-10 minutes, stir and serve. At 320 calories per serving (1/2 package) there's lots of energy to keep you going, and the spaghetti and extra flavours ( asparagus, pimentos, mushrooms) keep it interesting. The pieces of turkey are reasonably large, and they rehydrate well and retain their flavour when cooked. 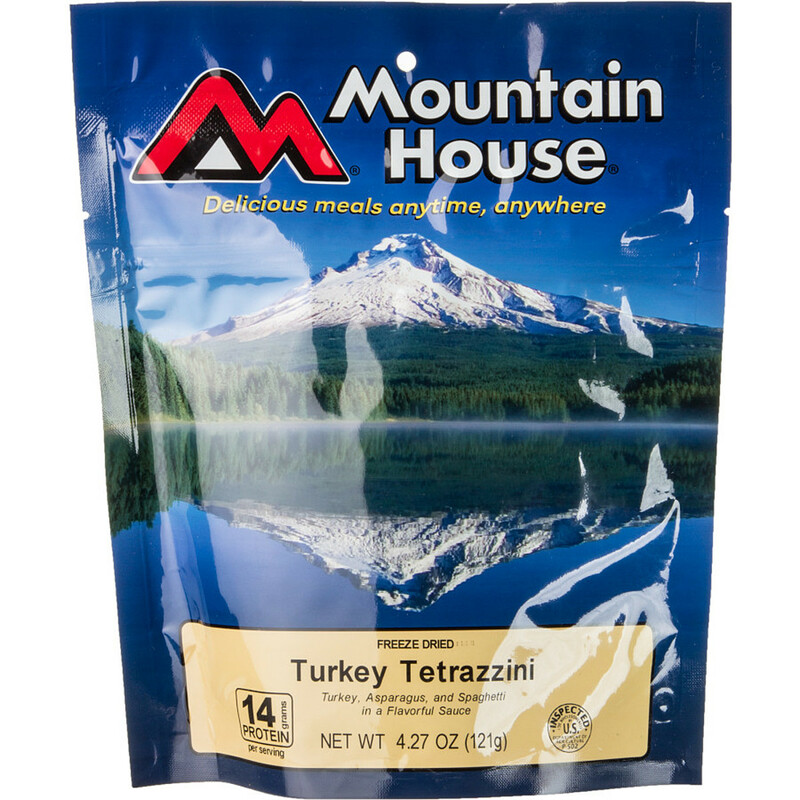 The Turkey Tetrazzini compares favourably with other commercial meals (certainly better than I could prepare at home) and it's become one of my new favourites. 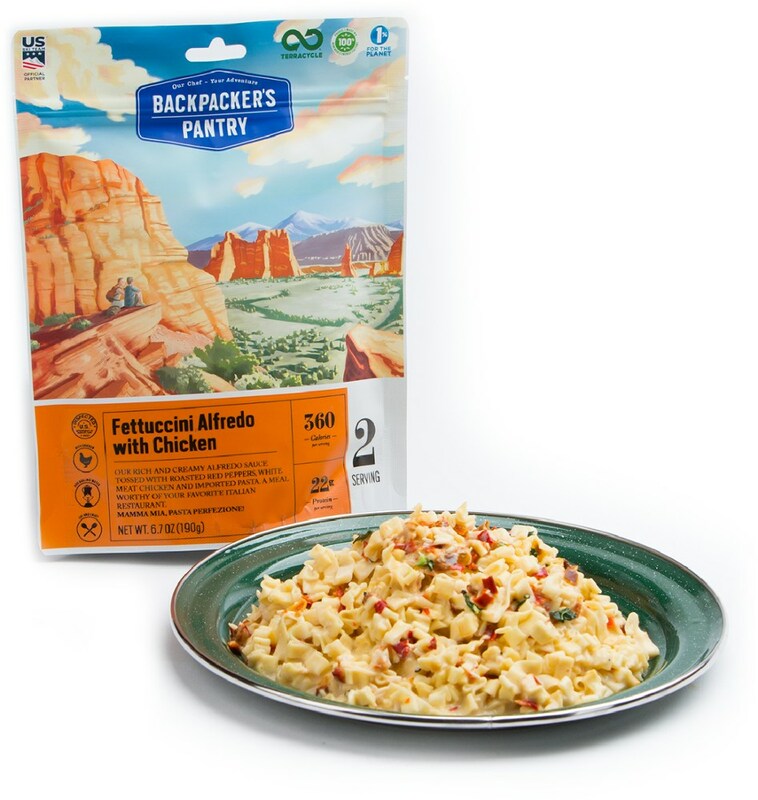 The only downside is that some might think it a bit too salty, not usually a problem if you've been backpacking all day, but the taste might be less acceptable if you're a bit more sedentary. All in all, one of the better meals that Mountain House sells. I'll be buying it again, and I expect my next set of clients to enjoy it as well. Turkey Tet is my favorite, Peter! Another great one is the Chicken A La King. Thanks, Ashleigh. 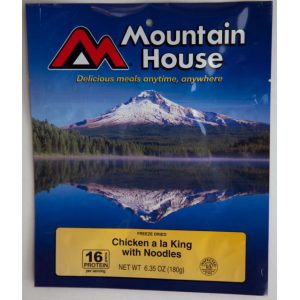 I have about 10 different bags of dehy food left over from that one trip, but I'll look for Chicken a la King next time. One of our favorites but very salty. 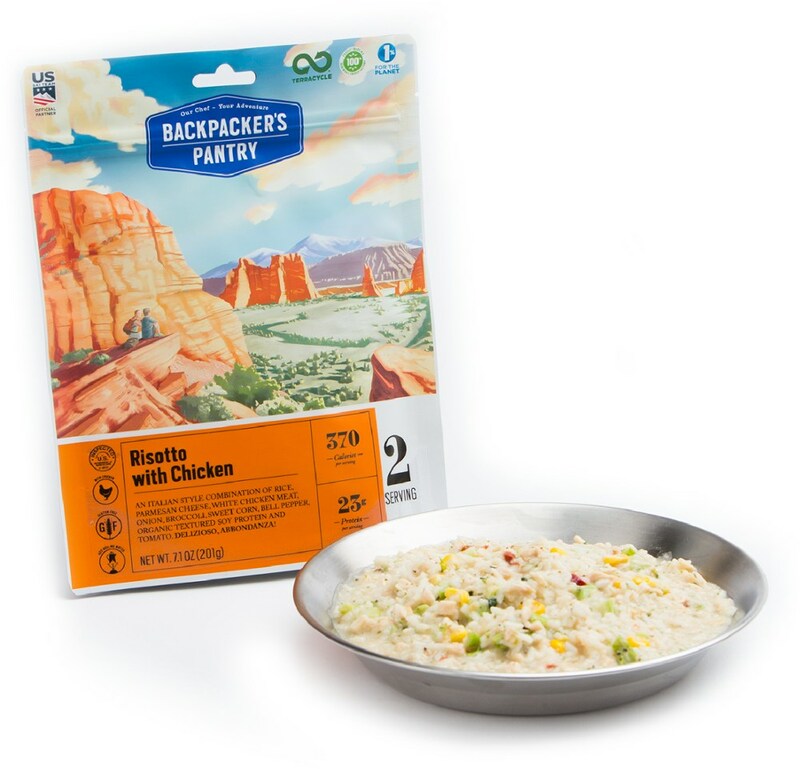 The big kid who exited the Park Service bus, carrying his full pack, smelled unquestionably like a skinny Turkey Tetrazzini! Bears would look at him and sniff the air, and decide that there is only skin and bones and nothing to eat, really! But the hiker did exude lots of sodium! If not well rehydrated, this stuff tastes like flavoured cardboard. Instead, buy a flat packet of chicken and add it to angel-hair pasta, at half the price and twice the food value. And you can adjust the level of seasoning in the angel-hair pasta melange! 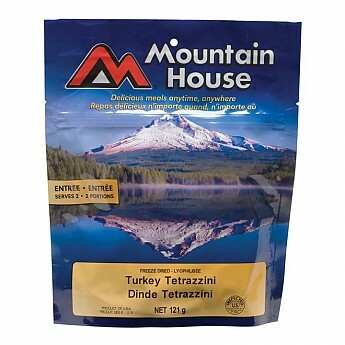 The Mountain House Turkey Tetrazzini is not available from the stores we monitor. It was last seen January 9, 2018	at Backcountry.com.